FC Barcelona have been denied victory for the third game in a row as Athletic Club collected their first Liga point at Camp Nou since 2004. The Catalans would have loved to celebrate what is now their longest unbeaten stretch at home (40 games) since 1993 with a win, and did everything and more to warrant the three points. But lady luck turned her back on the blaugrana this Saturday afternoon and they had to settle for a frustrating draw. The decision to rest both Leo Messi and Sergio Busquets raised eyebrows around the stadium press room. But so did Barça’s football. Confident attacking had the chances flowing from the outset. It looked like business as usual. The first half saw the front three of Luis Suárez, Philippe Coutinho and Ousmane Dembélé producing some beautiful football. However, young Basque stopper Unai Simón was in inspired form for the visitors, especially when he denied the Uruguayan a goal from point-blank range. It wasn't all one-way traffic. Athletic were by no means here to play a supporting role, and probably should have scored first. Iñaki Williams dallied two long from a near-gimme situation, giving Arturo Vidal the time he needed to get his body in the way. As the half drew to a close, Barça suddenly found themselves trailing. Raúl García clashed with Dembéle. Hesitation all round but nothing from the referee, and in the meantime Markel Susaeta was teeing up Óscar De Marcos with a curling pass. The blaugrana would be playing catch-up in the second half, and based on the football we had seen, it was not a position they deserved to be in. There was no questioning the second half reaction, with Messi sent on to support the mission to sort things out. But no matter how magical the Barça wizardry, it was the tight defensive discipline of the men in red and white that had the upper hand. Coutinho hit the bar. Messi hit the post (yet again) … How were Barça still losing this? And the bilbainos could even have gone two-up had Nelson Semedo not superbly cut out Williams when through solo on goal. But Barça had saved the best for last. 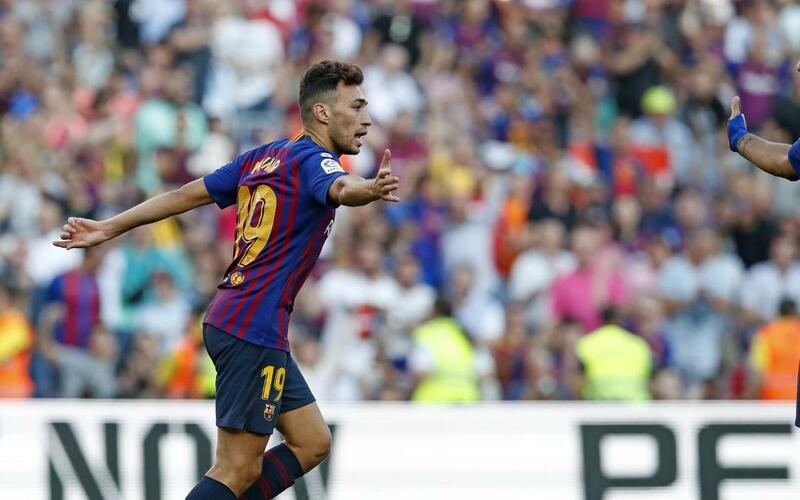 In the 84th minute, Messi’s shot was parried away by Unai, but back the feet of the Argentinian, who set up fellow substitute Munir to bang in the equaliser. It was a race against the clock, and this time the clock won. One point gained or two points lost? For a side Barça who will only ever settle for a win, it has to be viewed as the latter.